Can you believe that? Believe it! 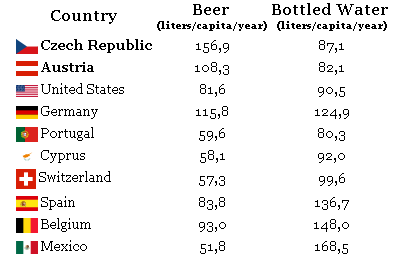 Czechs are not just the biggest beer drinkers in the world, but they actually drink it almost twice as much as bottled water. According to a study by KHC, Czechs drink 156,9 liters per person per year, while each person drinks only 87,1 liters of bottled water per year, according to the EPI. do let me know once you make the confirmation. 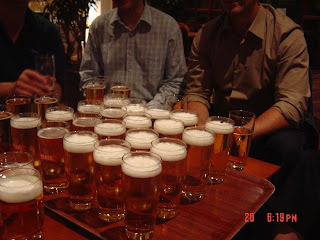 didnt know the czech could down so much beers. i thought it was the germans.